Starting Charts+ Windows will require you to go to the following icon located on your desktop once you have installed the application. Let's have a look at starting the application from our desktop. 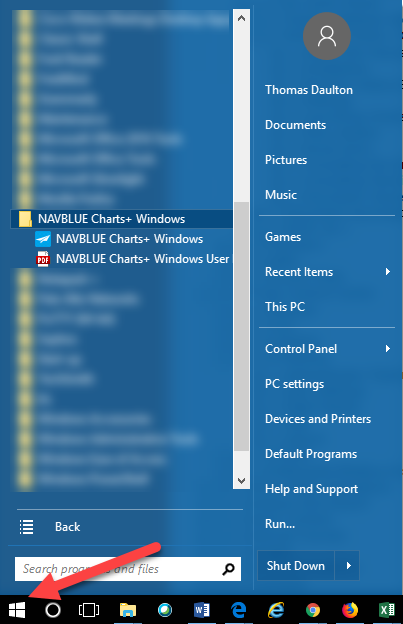 Alternatively, you can access the application through the "Start Menu" and "All Programs" and search for the folder "NAVBLUE Charts+ Windows". After you have opened the application from your desktop you will be asked whether you would like to restore the previous session. In this case, we will click "No", this will clear your sessions along with the previous route, charts work screen and clipboard selections. 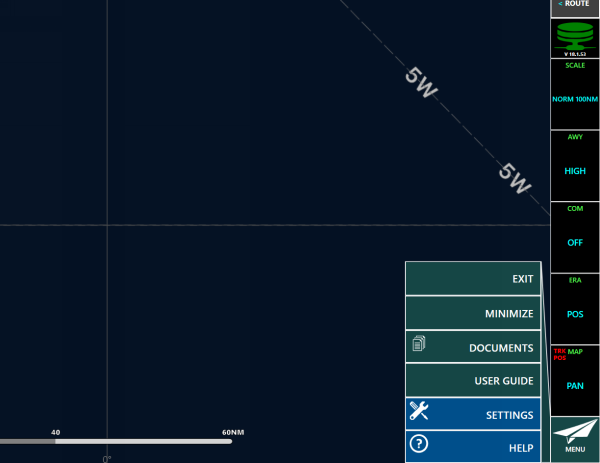 Selecting "Yes" the application will restore and load the route, aerodromes and their tile chart assignments, documents, and clipboard. If any of your Enroute or Charts & Guide revisions are out of date then you will see the following. You can clearly see the expected Charts & Guide revision date is red. You can acknowledge this information to proceed on, but to view up to date information you will need to update the application. You will now be taken to the enroute screen. 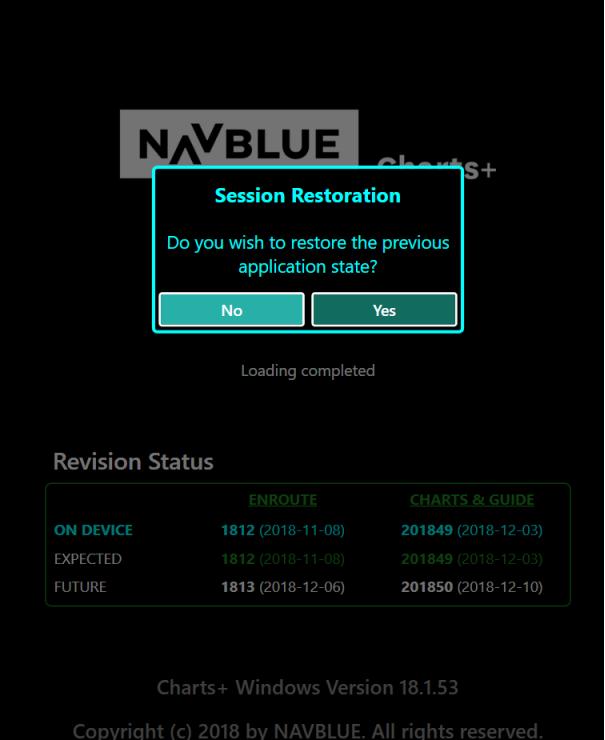 Every time you decide to open the application you will be asked whether you would like to restore your previous session. Let's have a look at exiting the application. This will close the application down and return you to your desktop. If you prefer to minimize the window you can using the Minimize function. This will place the application in your windows taskbar without closing it down and will leave the application running in the background. To bring the application back up you just need to simply click the application button in the taskbar.